You can sign up in as small as 1 hour shifts. The money raised stays here and will help us continue to do good in Pettis County through 2016! For anyone who needs assistance with food/gifts during the Christmas season, we have Salvation Army Christmas Assistance. You can sign up at our building at Broadway and Engineer. Note: If you receive government assistance, then you automatically qualify for Christmas Assistance. 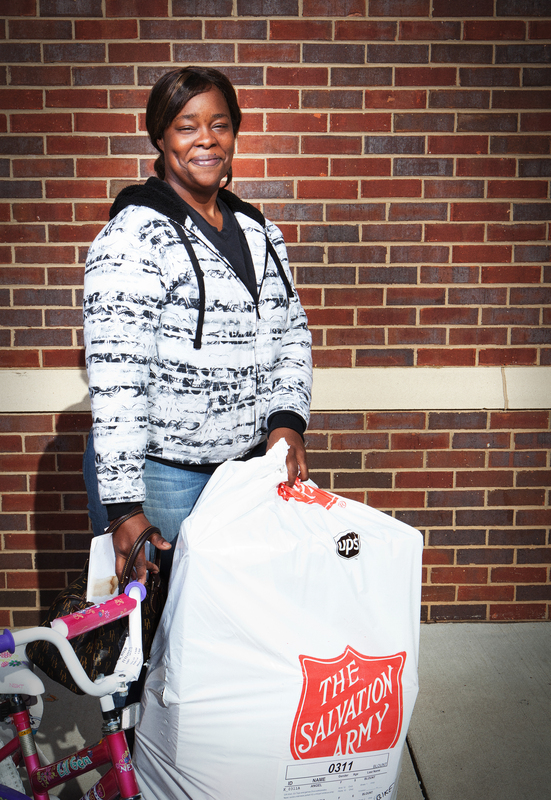 To donate food and gifts to The Salvation Army for distribution, you can donate directly to The Salvation Army by dropping off new gifts and food during office hours at our office at Broadway and Engineer, or you can find an Angel Tree at participating businesses and leave your gifts at the Angel Tree. 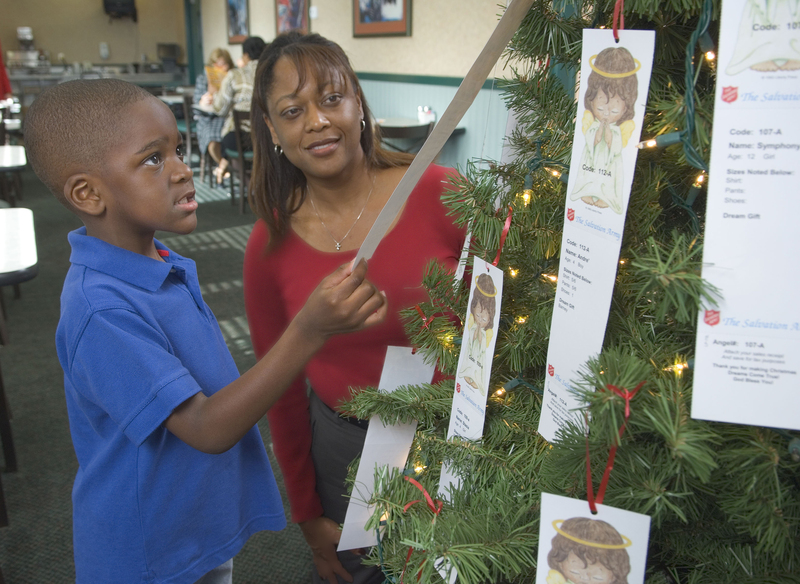 An Angel Tree has tags on it that identify children with ages and interests that can guide your gift purchases. Take a tag, buy a present, and leave the unwrapped present and tag at the Angel Tree location. A Salvation Army representative comes around periodically to pick up the gifts for distribution.